Flaunt your pout-worthy lips with the Plain Almond lip Balm - 4.5 gm. It is a fruity-flavored, transparent lip balm infused with the goodness of Almond Oil and Shea Butter that caresses your pout in one sweep to make it plum and luscious. Enriched with the goodness of Almond Oil and Shea Butter. Explore the entire range of Lip Balm available on Nykaa. 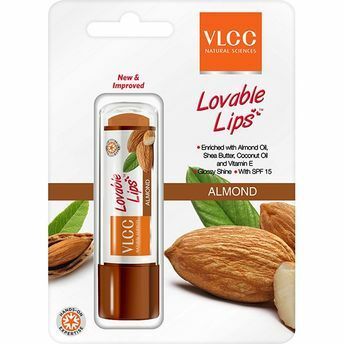 Shop more VLCC products here.You can browse through the complete world of VLCC Lip Balm .